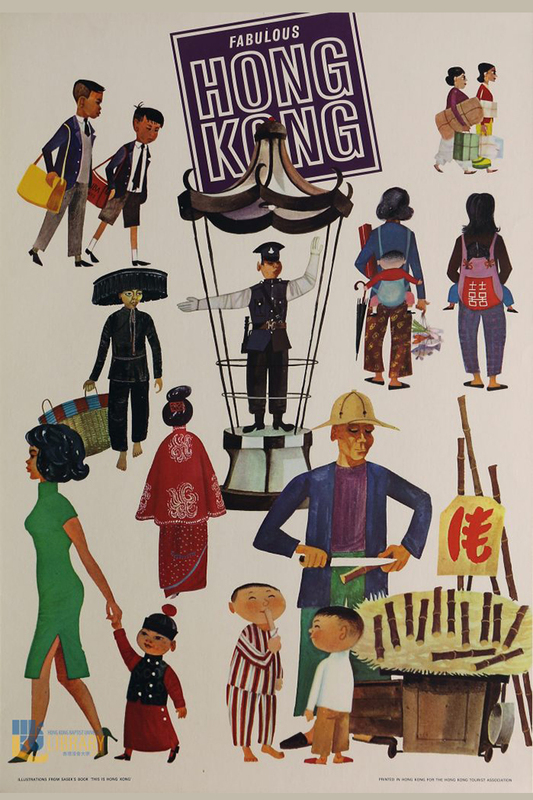 It took Christopher Bailey 15 years to build up his collection of Hong Kong travel posters. “I don’t think we could do it again,” he says. 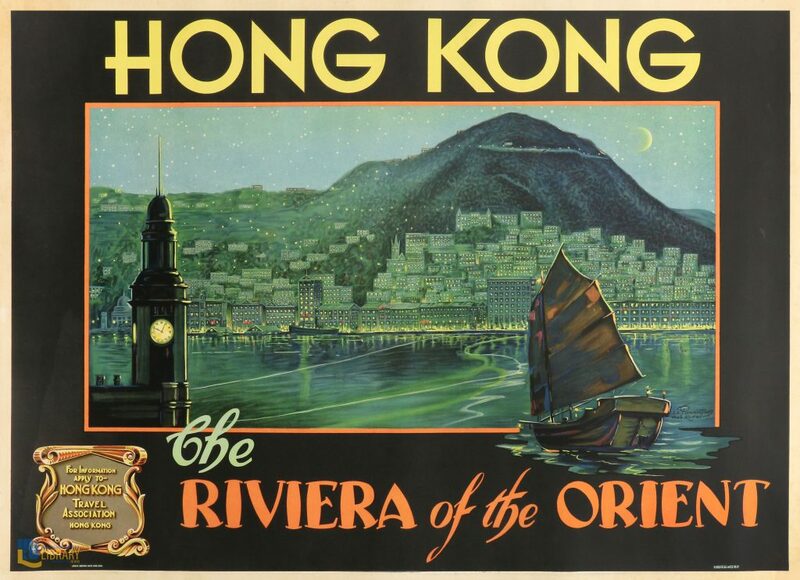 Some are the last surviving examples of their species – hand-painted advertisements for Hong Kong that once hung on the walls of travel agencies around the world, enticing tourists with their promises of an exotic Far East adventure. 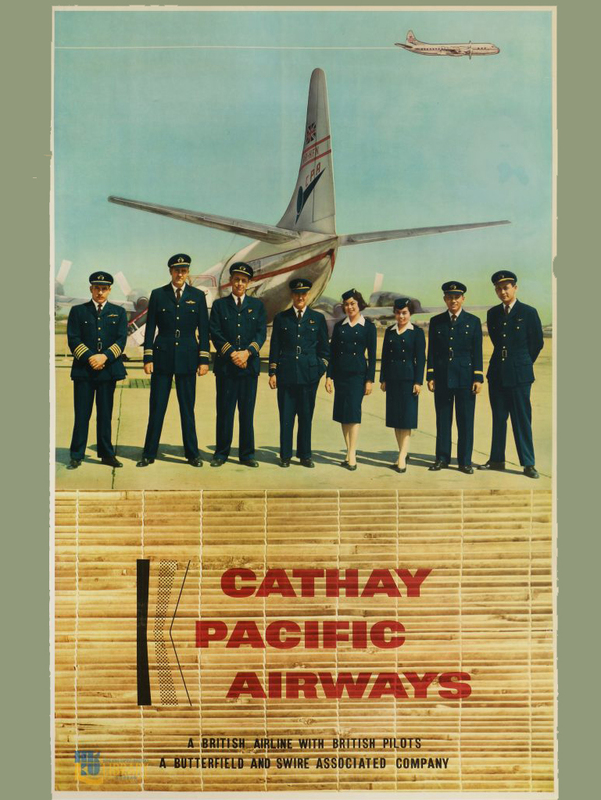 Some were created by famous artists who accepted lucrative commissions from airlines and travel boards; the origins of many other posters are unknown. 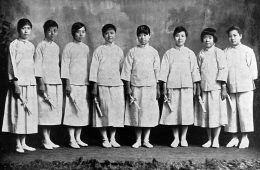 Now they are available for the public to see at Hong Kong Baptist University, which last year acquired Bailey’s collection. 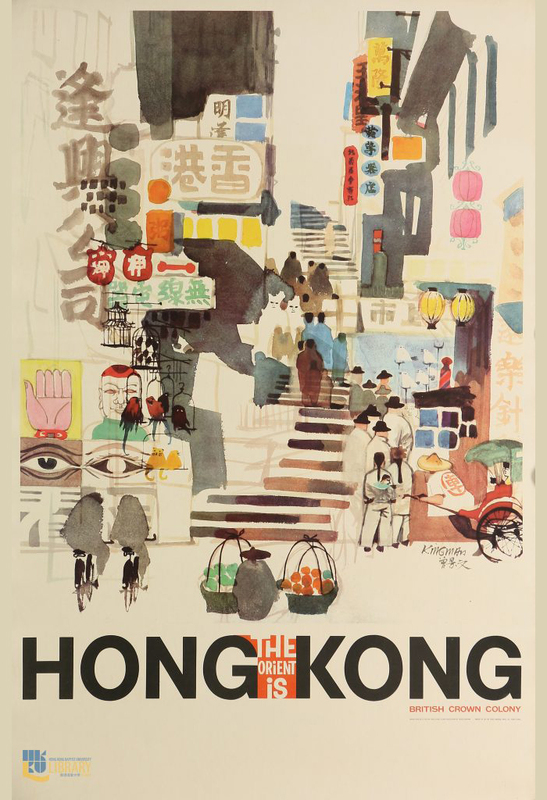 “It can honestly be described as the world’s finest collection of vintage Hong Kong travel posters,” says HKBU art historian James Ellis. 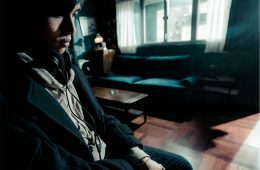 British-born Bailey traces the origins of his interest back to 1979, when he spent a year in Hong Kong at the age of 13. 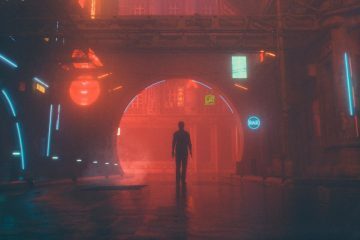 The city captured his imagination and he returned in 1992 to work in finance. Eventually, he moved on to running Picture This, an art gallery on Hollywood Road that specialises in posters, prints, photography and antique maps. Bailey quietly amassed some rare treasures. Some came from now-defunct airlines like Orient Express and Northwest Airlines. 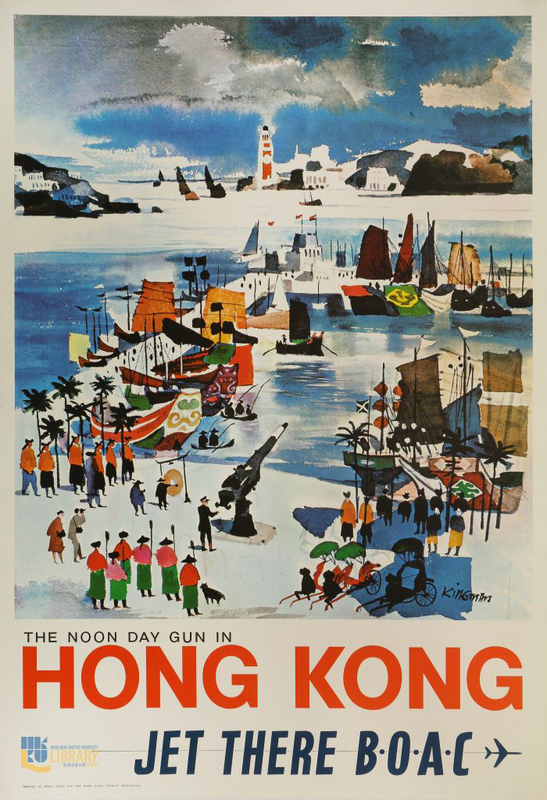 Others were created by world-renowned illustrators like Miroslav Šašek, whose artwork from the classic children’s book This Is Hong Kong was licenced by the Hong Kong Travel Association in 1965. Sometimes, just getting his hands on a poster was an adventure in itself. 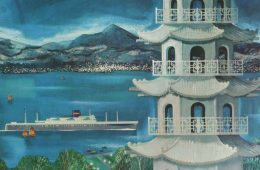 One of the oldest in the collection is a night view of the Central skyline, with the Tsim Sha Tsui clock tower in the foreground, painted in 1932 by Shanghai-based artist S.D. 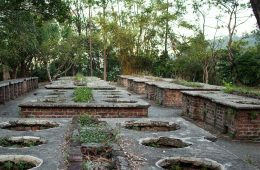 Panaiotaky. Bailey had to take a trip to Denmark to buy it from a mysterious seller who insisted on doing the hand-off in the Copenhagen airport. Bailey ended up collecting more than 100 posters over the years. When he moved back to the UK in 2016, he decided to find a permanent home for the collection. 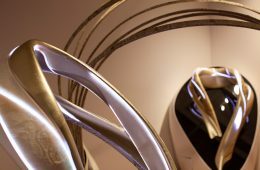 At that point, it had only been exhibited once, at the Mandarin Oriental hotel in 2006. “It’s almost like a hidden collection,” he says. 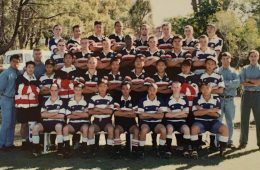 HKBU turned out to be a willing host. 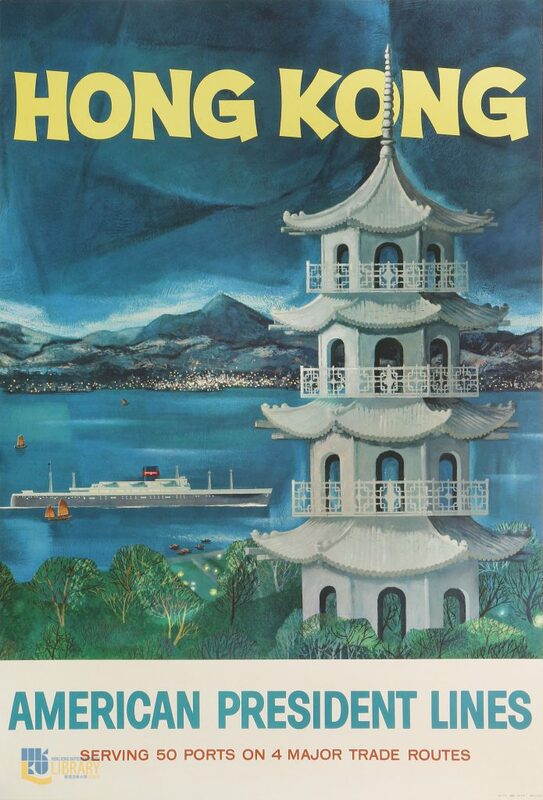 Although the University of Hong Kong has a much larger collection of Hong Kong travel posters, with more than 500 examples donated by the Hong Kong Tourism Board, most of them are photographic posters from the 1980s and 90s. Bailey’s collection focuses on older illustrated works, with only a handful of particularly remarkable photo-based posters. “It’s comprehensive up to 1980 and selective thereafter,” he says. 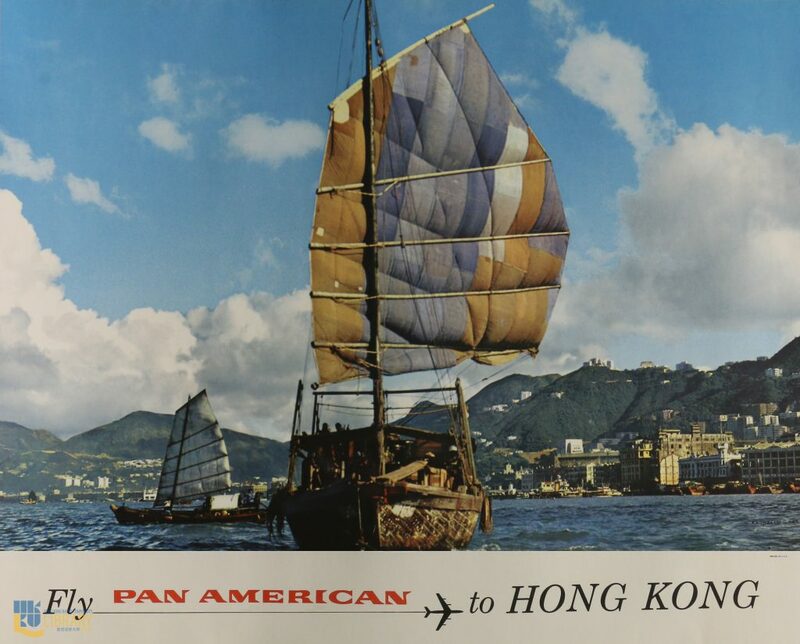 Those types of posters would have been targeted at an audience of exceptionally well-off Westerners who had the means and opportunity to travel at a time when long-distance voyages were expensive and arduous. 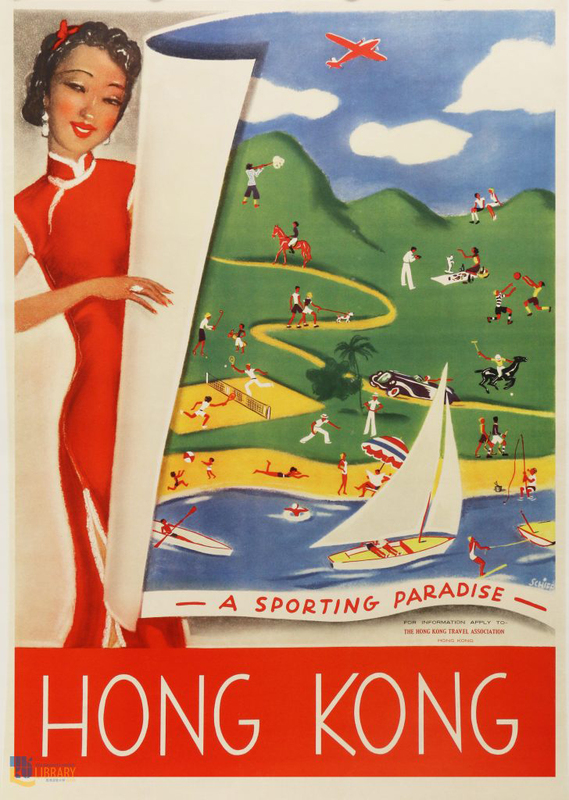 But at least one poster from 1938, drawn by Freidrich Schiff, advertises Hong Kong as “a sporting paradise,” with a smiling qipao-clad woman introducing a bustling scene of people sailing, kayaking, walking dogs, riding horses, having picnics and swimming amidst a bucolic landscape of emerald hills and azure seas. 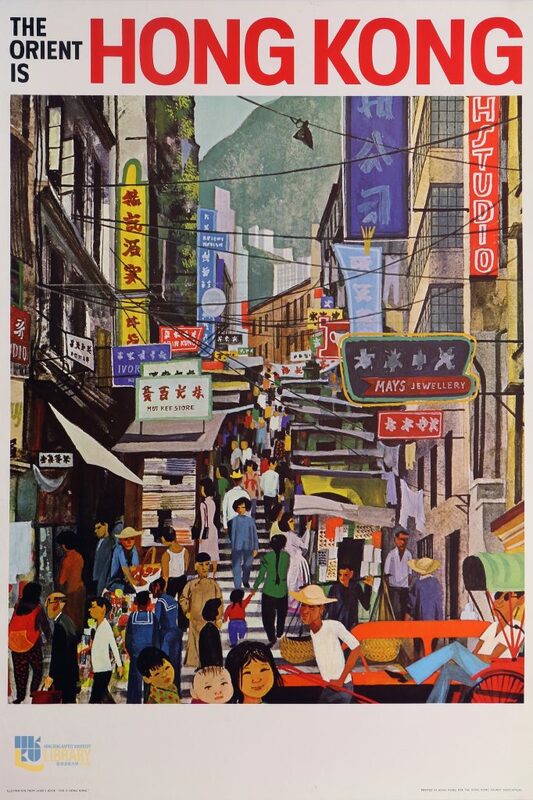 That poster was likely targeted at expatriates in cities like Shanghai and Guangzhou, where untrammelled nature was (and still is) hard to come by. 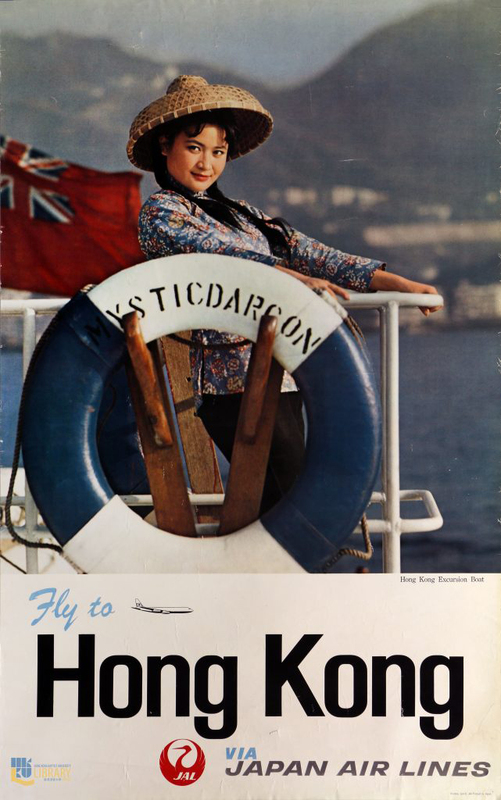 After World War II, the posters begin to mirror Hong Kong’s economic development. 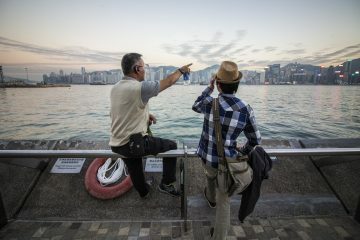 “You begin to see Hong Kong as an entertainment centre or as a shopping centre,” says Ellis. 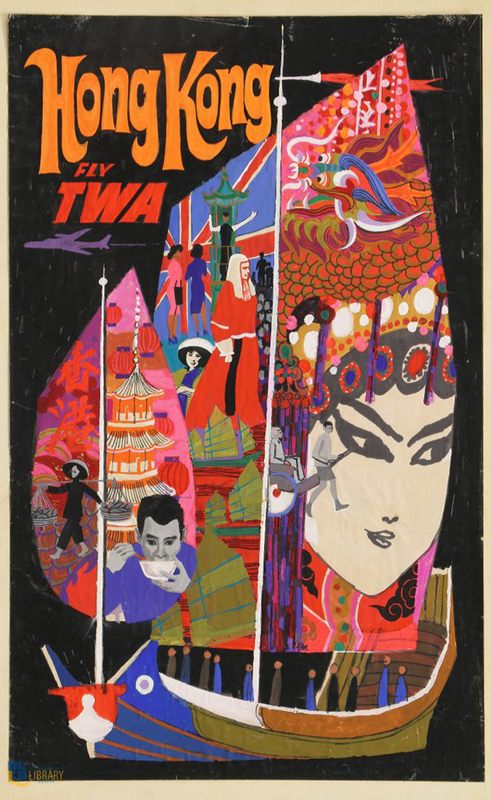 The posters also become more artistically ambitious, with modernist imagery like in David Klein’s mid-1960s work for TWA. 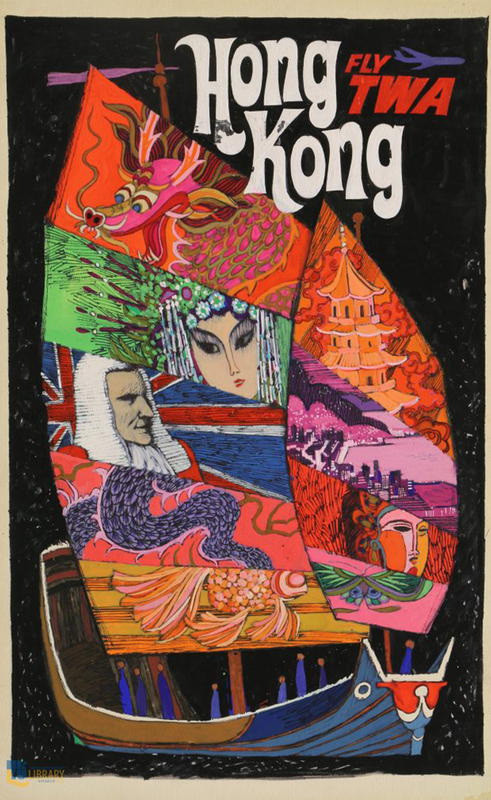 One poster is an exuberant collage of quintessential Hong Kong scenes imposed on the sail of a junk, including a Cantonese opera performer, a Chinese dragon and a British judge in horsehair wig. 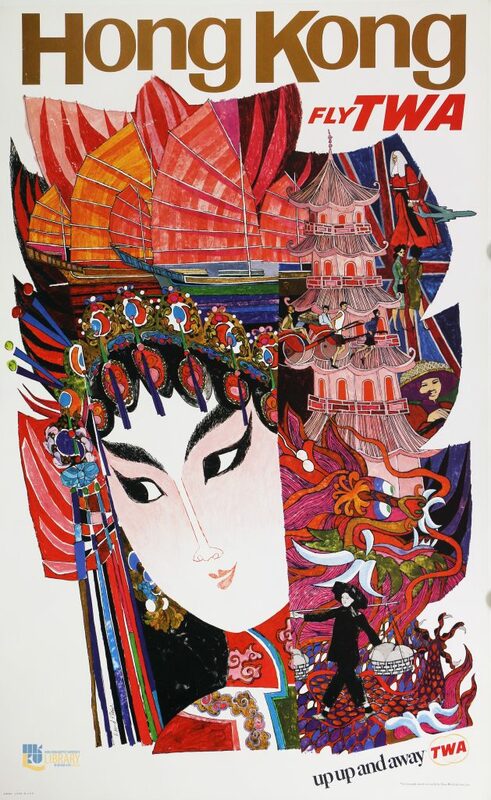 Two particularly captivating series of posters were painted by Dong Kingman, a Chinese-American artist who is known in the United States as a master of American watercolour, and Hong Kong artist David Lam Chun-fei. 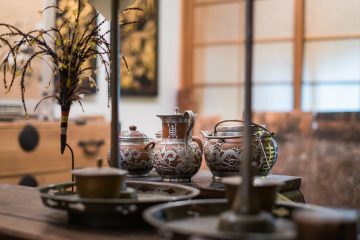 “Each of them had interesting and sophisticated blends of Eastern ink painting techniques and Western watercolour techniques,” says Ellis. 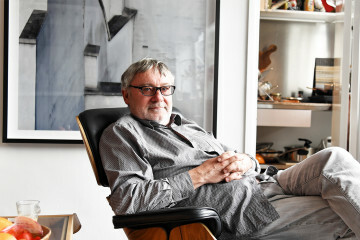 Georges Mathieu is another well-known artist represented in the collection. “He was a gestural accent painter like Jackson Pollock,” explains Ellis. 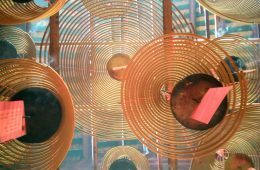 In 1969, he channelled his technique into an abstract representation of fireworks and neon signs for a poster distributed by Air France. 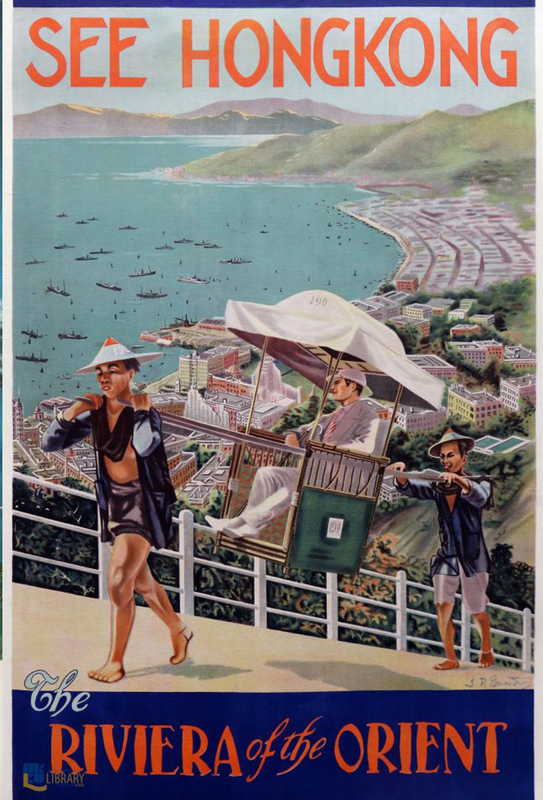 Many leisure visitors to Hong Kong in the 1930s would have been Western residents of nearby cities and countries. 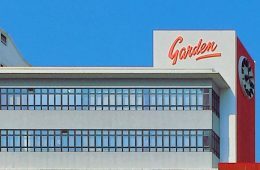 But many other artists in the collection remain unknown – victims of the lack of recognition suffered by many commercial artists who worked in a pre-Warholian era when advertising, graphic design and branding were considered inferior to fine art. “Christopher Bailey worked on this collection for 17 years and did a lot of individual research and he still wasn’t able to identify some of the artists,” says Ellis. 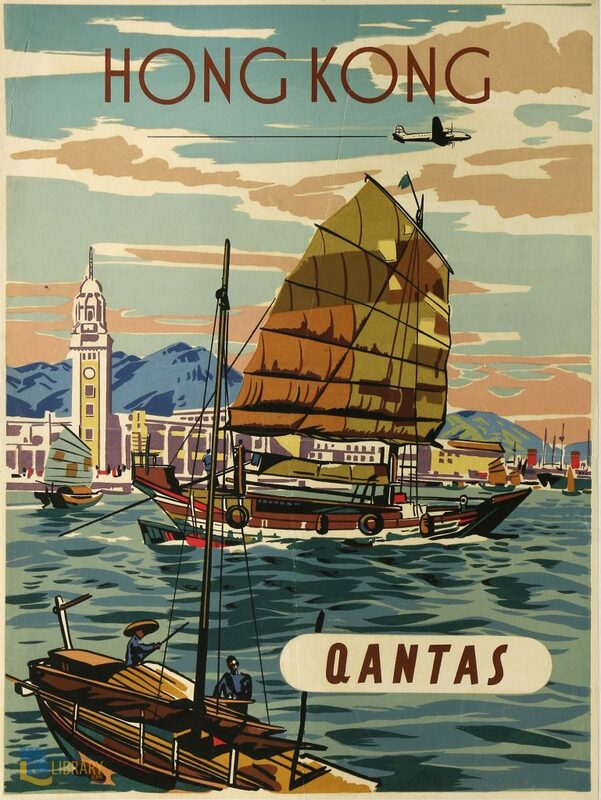 Qantas began flying to Hong Kong in 1947. 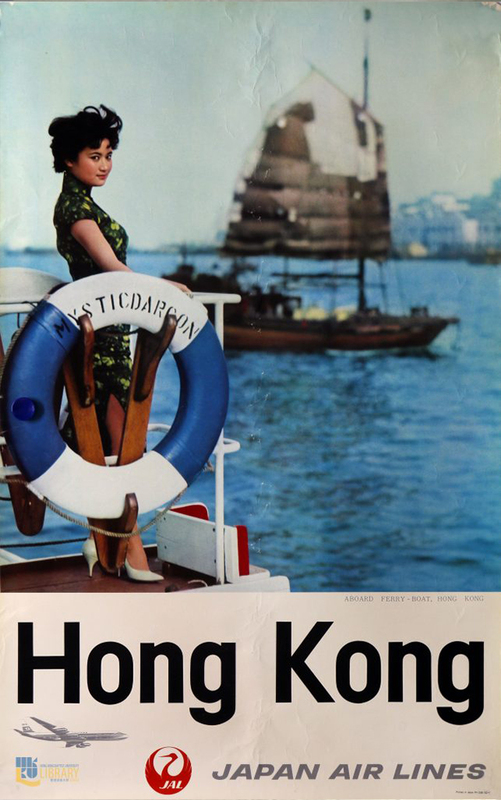 And for now, there are travel posters like these, each one a glimpse of a city and an era that have long since passed – but whose legacies can still be felt today. 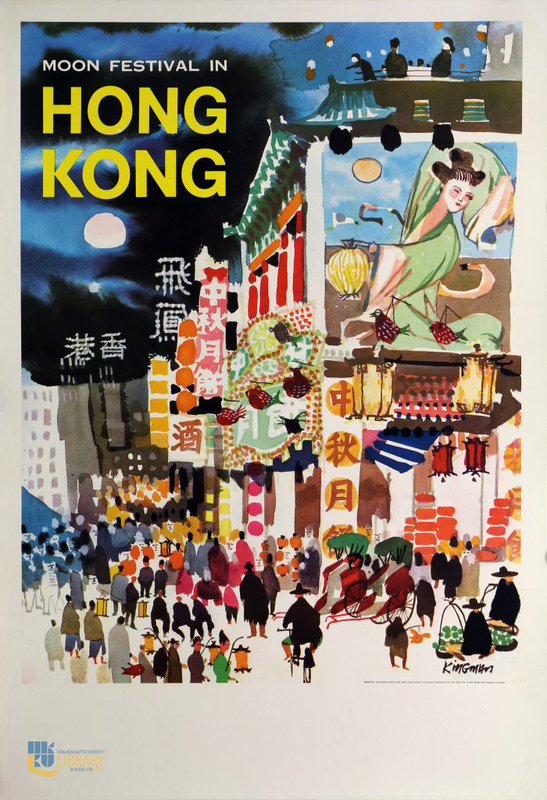 Bailey may have collected the bulk of Hong Kong’s historic travel posters, but there is still plenty to discover. “You can never say the collection is complete,” he says. 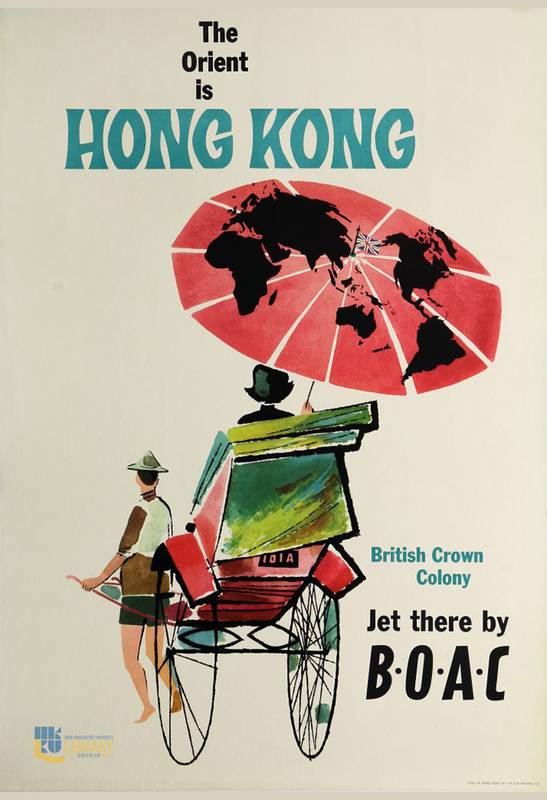 HKBU’s travel poster collection will be exhibited from 4 to 13 April 2019. Click here for more information. 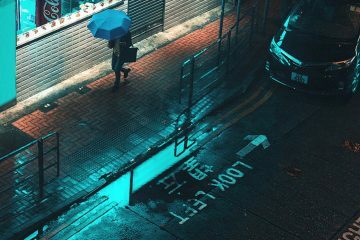 Christopher DeWolf is a Canadian journalist who has lived in Hong Kong since 2008. 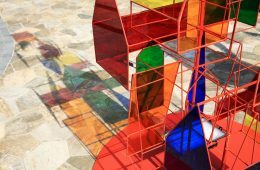 He was drawn by the contrasts of the city's street life: quiet lanes filled with stray cats and potted plants; sleek glass-and-steel footbridges; frenetic markets where rainbow umbrellas shelter fresh vegetables and flopping fish. 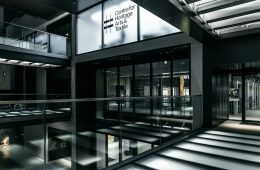 Christopher's work on urbanism, architecture, design, art and culture has appeared in the South China Morning Post, Wall Street Journal, TIME, LEAP and many other publications. 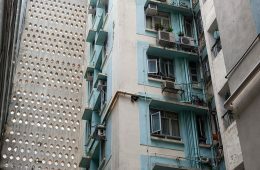 His book on Hong Kong's unique urban culture, Borrowed Spaces: Life Between the Cracks of Modern Hong Kong, was published by Penguin in 2017. 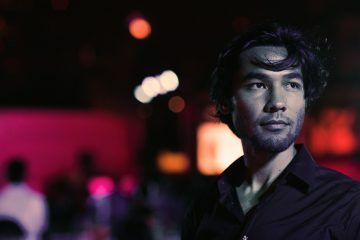 He hopes to bring a ground-up sense of place to his work for Zolima CityMag. 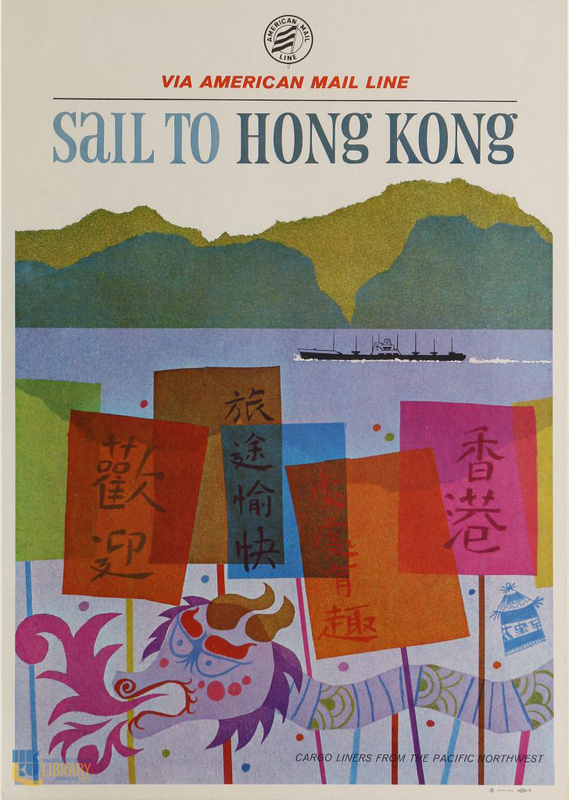 Gallerist Christopher Bailey amassed a treasure trove of vintage handpainted Hong Kong travel posters – and now they are available to the public.